Since January 1, 2011, GS1 DataBar can be used on small products, but only for GTIN-13 or GTIN -12, not GTIN -14. For an completed explanation on GTIN’s, please visit www.gtin.info. However, even before 2010, retailers can (if they want!) use GS1 DataBar for in-store printed products, even with information beyond GTIN in the bar code, if their systems are ready to go. Manufacturers stop using GS1-128 coupons and begin using Databar interim format. Manufacturers should eliminate the UPC/EAN bar code on coupons and use the final databar coupon format. If you require digital barcode artwork (eps) for any format, please contact us directly at 800-662-0701. You may also, click on the following Order Form if you need digital barcode files immediately. Our in-house service bureau can create/send these files out within minutes. Databar coupon symbols are available from www.createbarcodes.com 24/7 with immediate delivery. The cost for Databar digital files is $23 each from our service bureau and will be $10 from www.createbarcodes.com. 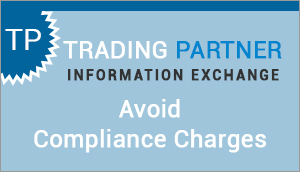 Note: The interim coupon format is provide as a single file which includes the UPC/EAN and GS1 Databar symbols. Our application was certified by GS1 US in 2005 and is the only solution to receive such certification to provide digital barcode artwork..